The presented room availability, rates and discounts are actual and final for all our 153 hotels in San Gimignano. 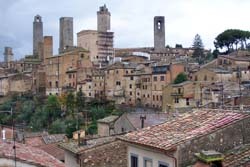 San Gimignano is one of the most beautiful cities of Europe. It is in Italy, Tuscany. The city rises in a historically known part of Europe among green hills. Also this area is known for manufacture of extraordinary tasty wine Vernaccia, its wonderful flavour and taste were appreciated by the Italian wine makers. 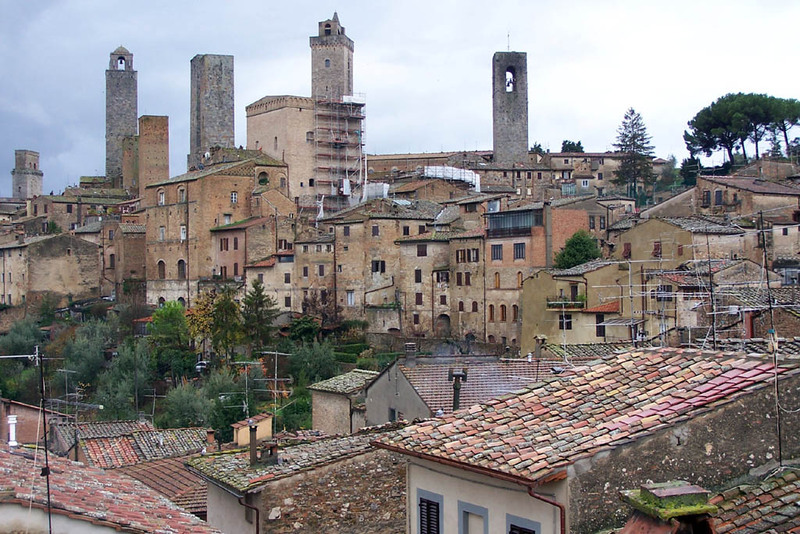 San Gimignano is known for the magnificent towers. Years ago there were over 70 towers, but up to now has remained only 14. Towers raise over a city as if skyscrapers. Earlier they carried out defensive function, rescuing local merchants from undesirable intrusions. While taking an excursion through the this city you can feel Middle Ages atmosphere. There lots of gorgeous places to visit: Palazzo del Popolo, Piazza della Cisterna, Rocca citadel. All city sights have perfectly remained so tourists can have a wonderful opportunity of visiting a real Mediaeval town.